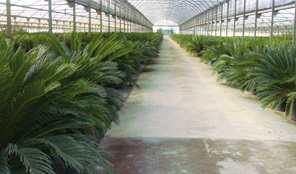 The Lapietra Plants Nursery by Leonardo Lapietra was born 20 years ago as producer of Mediterranean autochthon plants cornering immediately the Italian market; afterwards, it spread throughout all the countries of the Mediterranean basin until northern Europe. In 2008, Lapietra Plants Nursery arrives as a pioneer in the United Arabs Emirates on the Persian Gulf; by analyzing the peculiar ground, climate, water, distances, transports and so on, it can recognize the cultivar that are more compatible with the hot sand of the desert. Among these, there is the Olea Europaea, a very ancient plant that preserves priceless proofs of antiques civilizations and different past ages. Thanks to the valuable co-operation of Mr. Saeed Suma Ali Albwardy, prominent expert of the earth’s flora and very fond of plants and animals, especially of horses, in 2012 a commercial partnership begins: it leads to the establishment of the Sungarden Nursery LLC and, soon after, of the Lapietra Nursery LLC. We have unified two divergent realities of the earth thanks to the passion and the love for our task: a task by which we can look after the precious gift that Nature gave us…our plants. Future always arises from the past. The human mind is able to realize even what appears to be impossible and, nowadays, it seems really difficult to preserve the old values. In any case, we must try to conserve that extraordinary gift that Nature gave us by coloring those peculiar landscapes with scented petals of flowers and brilliant green. The desert landscape, once covered merely by sand, has been turned into a natural garden as Mother Earth made. 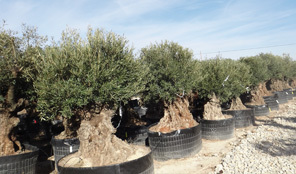 As you can discover flipping through the pages of our catalogue, we can offer every type of Olea Europaea: from the little sombrero bonsai, bonsai ball, spontaneous vegetation, to the magnificent thousand-year old sculpture trees, offering to our customers a large chance of choices in order to decorate with plants small gardens, wide parks, shopping centers, airports or whatever location. In addition, we are provided with a garden design laboratory where, with great pleasure and by means of modern advanced technologies, you can have a three-dimensional view of the project even before realizing it in the location to decorate.